Whenever there is an infestation situation in rented homes, there will inevitably be problems between the landlord and tenant in regards to who is responsible for eradicating the pests. No one wants to deal with ridding a home of a pest infestation and the cost that comes along with it. One family in Houston, Texas had to deal with this very problem when they discovered that the house they were renting was infested with so many rats that it wasn’t safe for them to live in it. Chantel Edmonson and her family were perfectly happy with their new home they had rented in northwest Harris County until they discovered the hundreds of rats also living there. They moved into the house on Fernstone Lane in May, but didn’t learn about the rats until they spoke to a former tenant that had also had problems with rats in June. The house was full to bursting with their little rodent houseguests. They see rats crawling around the house everyday, leaving feces all over the counter, and frightening the children with all of the racket they made in the back portion of the house. The family sent videos of rats scurrying around the house to a local news channel, and even found a rat stuck in the space between the dishwasher and the cabinets, which had to eventually be removed by an exterminator. Dozens, if not hundreds of rats were living in the walls and attic. The children were literally frightened to live in their own home because of the massive infestation. Generally, a tenant is supposed to contact their landlord to deal with this kind of situation, but that proved to be little help in this situation. The family’s landlord, one Henri Olivier, refused to take care of the problem when confronted by them. He insisted that the rental agreement the family signed stipulates that the tenant is the one responsible for exterminating any pest infestations, not the landlord. As you can imagine, this led to some serious issues between the family and their landlord. Although, as the rats seem to have been infesting the house even before the family moved in, it seems to me like this landlord has some explaining to do. The moral of this story? Always read your rental agreement thoroughly, and make sure you know what you’re getting into before you agree to move into any house or apartment. Have you ever had a pest infestation in a home you were renting and had issues with your landlord over who is responsible for getting rid of said pests? Just about every type of troublesome wildlife pest a person can think of dwells within the large state of Texas. Of all the animal species that exist in the United States, the state of Texas is home to three fourths of them. Texas is home to 33 bat species, which is more than any other state. Rodents make up one third of all mammal species in Texas. Common rodents in Texas include squirrels, pocket gophers, numerous rat and mouse species and scores of others. Of all the wild animals that are known to invade, damage or nest within Texas homes, rats and mice are probably the most hated. While some years see a greater amount of rodent infestations than others in Texas, residents can always expect a massive influx of rodents within residential areas of the state once the winter season nears an end. Rats and mice do not just invade homes where they annoy occupants with the noises they make while hiding away within their obscured nesting spaces, but they also cause expensive damage in hard to reach areas. 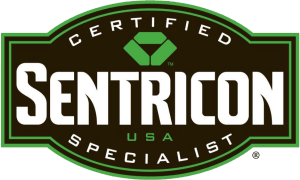 For example, pest controllers in Texas have found rats chewing on cables and electronic wiring within attics, basements and utility boxes. It is also not uncommon to find rats infesting garages where they sometimes chew away at electrical wiring within vehicles. Even worse than having to shell out money to repair expensive rat-induced damage to electronic devices, fires can start as a result of rats chewing through electrical wires. Rats also commonly chew on pipes, eat threw water hoses, gnaw on clothing, tear up furniture, and they damage floorboards, drywall and insulation. And if all this is not enough, rats and mice also facilitate the spread of diseases to humans. Unfortunately, one of these diseases, typhus fever, is becoming more common among Texas residents. For example, up until July of last year, Galveston health authorities documented 18 typhus cases, while only one case was reported in the area during the entire 2017 year. Many residents are contracting typhus indoors, as dogs spread the disease to humans after contracting the disease from fleas that they picked up from backyard rats and opossums. Although a pest control professional is almost always necessary to eradicate a rat or mouse infestation within a home, typhus can be prevented by making sure that dogs receive flea treatments. Have you ever killed a mouse or rat within your home with a simple trap? When it comes to car problems, there are countless possible causes. However, motorists might be surprised to learn that a rodent infestation could be what’s plaguing their vehicle. iPest Solutions cautions drivers to be on the lookout for a rodent problem under the car hood and take the necessary step to prevent it from happening to them this winter. When the temperature drops, rodents seek shelter, food and warmth in order to survive the colder months, which is why they often move into homes this time of year. Unfortunately, cars offer the same protection and food sources for rodents that homes do. Plus, eco-friendly materials increasingly being used by car manufacturers, such as soy-based wiring, only further attract them and their palates. Sneaking into cars is rather easy for rodents, as mice and rats can fit through holes as small as a dime and a quarter, respectively. Steering columns, vents, pedal shafts and other openings serve as the main access points into vehicles for these intruders. Upon gaining entry, rodents commonly use insulation as nesting material and wires, tubes and circuitry as meals, leading to short circuits and other electrical problems. Seal up points of entry into garages using a silicone-based caulk, steel wool or a combination of both. Check under the car hood for gnawed materials, droppings, nests and frayed wires. Maintain a clean car by promptly wiping up spills, and disposing of paper, fast food bags and other trash in a sealed receptacle. Consult with a professional automobile mechanic if signs of a rodent infestation are found. Consider partnering with a licensed pest control professional to ensure an infestation doesn’t spread from the car to the home. Most people seem to agree that rats are not the most sightly of critters, and they have a well deserved reputation as carriers of disease. Ever since rats were instrumental in the spread of the plague several centuries ago, their image has not improved much. Unfortunately, rats are quite abundant in all regions of the world, especially in big cities. Rats dwell in all rural and urban areas of the United States. In the US, it is estimated that one rat exists for every person living in the country. This means that up to three hundred million rats exist in the US. Rats rely directly on humans for their food sources, which explains why they are so abundant within big cities. However, you would not expect rats to be abundant within an apartment building’s collective mailboxes, as such an area does not seem conducive to locating food. However, the residents of one Georgia apartment complex are no longer receiving their mail from the post office, as the mailboxes at the complex have become infested with a plethora of rats. Due to this infestation, postal workers eventually started to avoid delivering mail to the address, and many of the apartment’s residents cannot blame them. 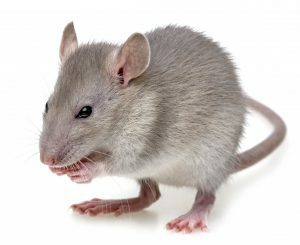 Last summer, a local news station in DeKalb County, Georgia received a call from a resident who described a menacing rat infestation within an apartment’s mailboxes. In response to the call, one employee with the news station visited the apartment complex with a camera crew in order to carry out some investigative reporting on the matter. The mailboxes at the complex had been surrounded by foul-smelling trash, and residents claimed that the rat presence had been a daily threat to all residents for the past 8 months. Several of the residents had also claimed that a postal worker verbally announced his intention to avoid delivering mail to the address after he had literally been chased away by a few of the unwelcome rats. The postal worker said that the resident’s mail could be picked up at the post office. The on-site reporter requested comments from the apartment staff concerning the rat infestation, but the reporter was, instead, physically escorted off of the apartment grounds by security guards. After a long struggle to contact the post office about the matter, postal officials finally announced that they had been working on a solution to the problem, but the residents have been blaming the apartment managers for the infestation and its consequences. Have you ever found a pest within your mailbox? Car and house wiring issues can be expensive and sometimes downright dangerous. Believe it or not, rodents like mice and rats could be the culprits behind the damage. While many people are aware of the health risks posed by rodents spread, it’s often a surprise that they also have a love for gnawing on wires, putting property at risk for house fires and car issues. To promote greater awareness about rodent health and property issues, the National Pest Management Association (NPMA) has declared October 21-27 to be Rodent Awareness Week. 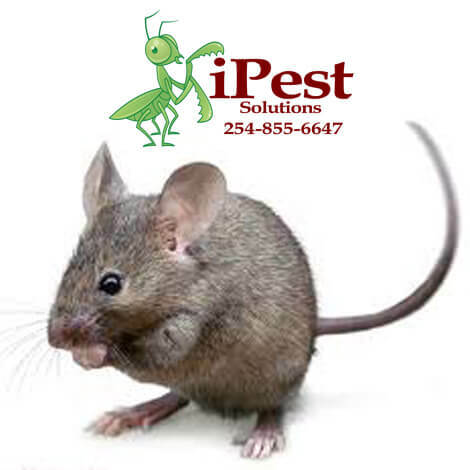 iPest Solutions is joining NPMA in this important effort by educating homeowners on the threat of rodents and signs that could indicate rats or mice are a problem on properties. Rodents spend about three percent of their daily activity just gnawing on objects like wires — sometimes causing issues behind a home’s walls or underneath the hood of a car. It’s important to take the proper precautions to prevent a rodent infestation in your garage and house to avoid these vandal visitors. Entering into cars and homes is easy since rats and mice can squeeze through tiny openings and gaps, some as small as a dime.